Dr. Matt Packard is a 3rd generation dentist at Packard Dental. 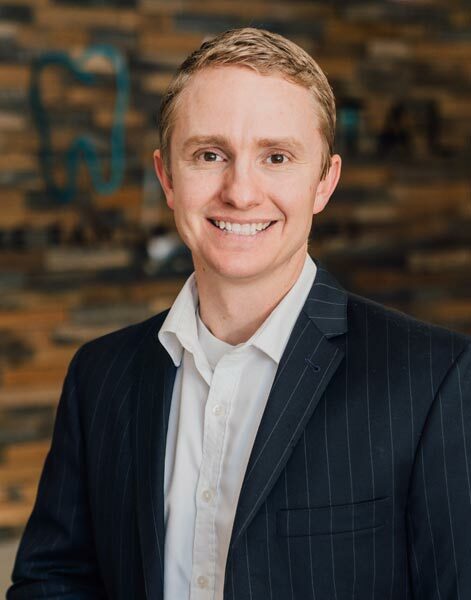 While away from the office, Dr. Matt enjoys playing at the park or beach with his family, practicing the piano, and aspiring to be a better than average golfer. He is the father of three spunky redheads that can sometimes be spotted at the office sneaking lollipops from the front desk. 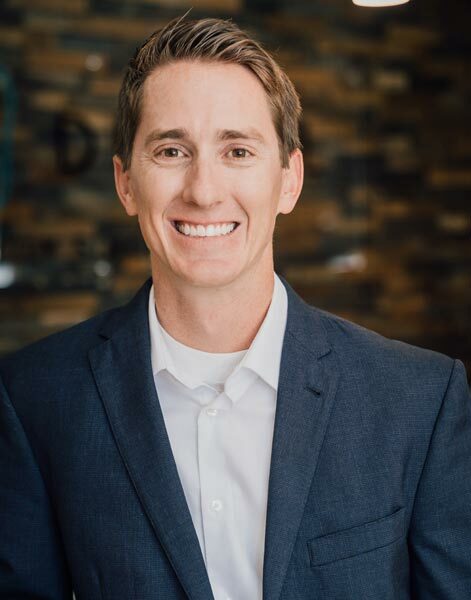 Dr. Jared Packard is a 3rd generation dentist at Packard Dental. He has a young family of two boys, ages 1 and 3, and a beautiful wife. Dr. Jared is a homegrown local and acts like it by surfing and playing volleyball in his free time. He also volunteers as a teacher with the high school youth of his Church. 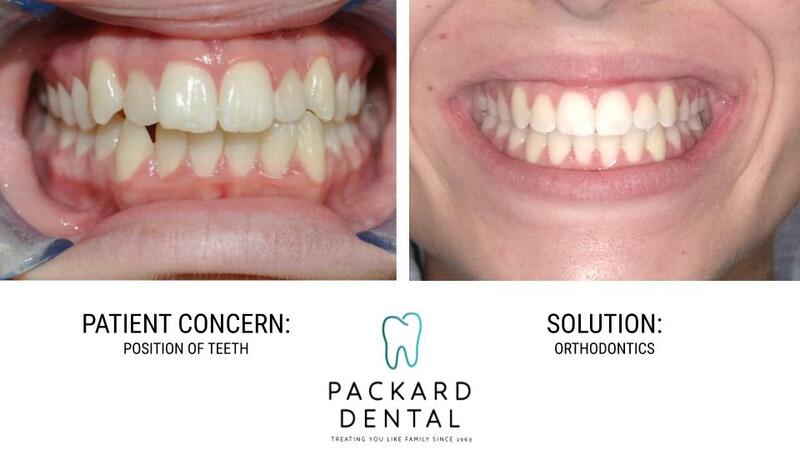 We've been fortunate to help hundreds of patients transform their smiles and their lives. We would be honored if you stopped by for a free consultation, giving us an opportunity to earn your trust. Start today - It takes less time than you think to have a great smile. Smile more often and feel better about how your teeth look. Orthodontic treatment can improve your overall health and wellness. Improved bite function, esthetics, speech, and self-esteem. Braces are most frequently used to straighten misaligned teeth or improve an overbite. While these problems are often fixed during late childhood there are occasions when adults end up needing braces. Modern brackets are smaller and less noticeable than the notorious "metal-mouth" braces than many adults remember from their childhoods. Traditional braces consist of standard metal brackets that are adhered to your teeth with an adhesive and connected by wire. They require periodic tightening so pressure can gradually straighten your teeth and align your jaw as needed. 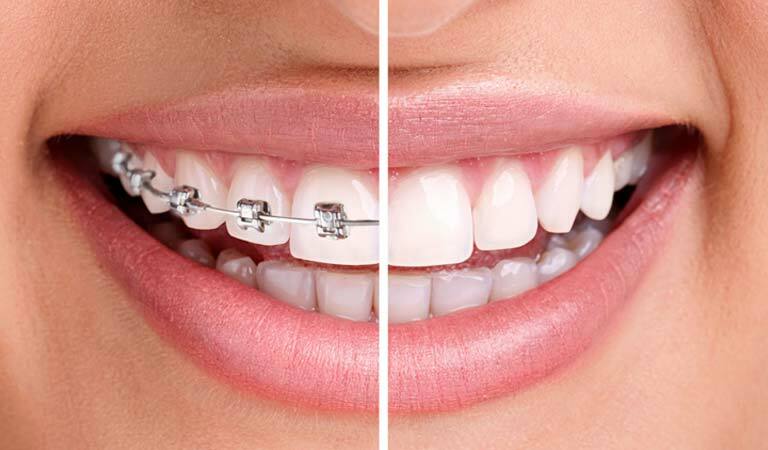 Traditional braces can correct even the most complicated issues in aligning the teeth. The braces can be not only esthetically pleasing, but functional as well and often cost less than other "invisible" orthodontic options. Unlike an Invisalign treatment which is extremely useful for aesthetic purposes and simple dental issues, traditional braces are more functional and work more efficiently to fix complex tooth alignment issues. Traditional braces are avaiable in a variety of visually pleasing materials and colors. Ask us about your options today! Ceramic braces are made of composite materials. They come in varying levels of transparency so you can have ceramic braces that mimic the color of your natural teeth. Lingual braces are metal braces, so they're not invisible, but they're attached to the back of the teeth versus the front. So when you smile, no one can see them. Invisalign works using aligners that look a little bit like a sports mouth guard but are a lot thinner and less noticeable. These aligners, which are made of clear, strong, medical grade, non-toxic plastic, are specifically moulded to your individual requirements and fit over your upper and lower teeth. This plastic is virtually invisible when worn so no-one will notice you're having treatment. These aligners are designed to gradually move your teeth into the desired position. Every 2 to 3 weeks you'll be given a new set of aligners which build on the work of the previous ones. The length of treatment is dependent on the severity of individual cases. Treatment may vary from anywhere between 6 months to 2 years with an average treatment taking around 12 to 14 months.